In other tales, a casserole dish offers an unexpectedly simple way to be noticed and appreciated, a poem on a wall offers a moment’s much-needed harmony, the familiar tablecloth trick is given a fresh, audacious twist, and a sudden scuttle of legs will make your hairs stand on end. The collection is riddled with beauties like this – snippets of scenes wound through with lives and memories and consequence. Protagonists are hopeful, misguided, occasionally downright delusional, but always recognisable, even if you’d rather not admit that to yourself. Songs Without Music by Tim Stevenson is published by Gumbo Press, and is available to buy from Amazon. 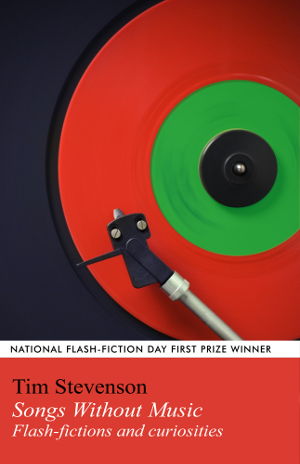 This entry was posted in Reviews and tagged book review, flash fiction, Songs Without Music, Tim Stevenson by Judy. Bookmark the permalink.